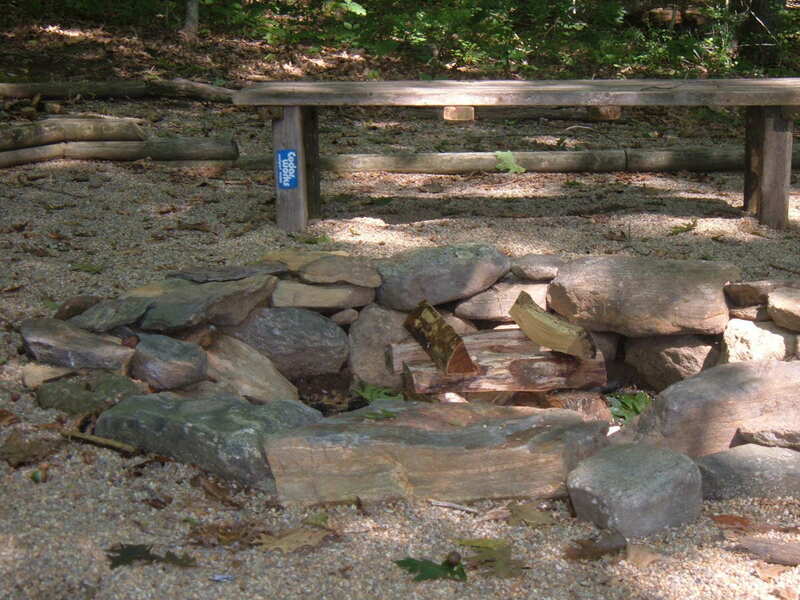 Situated in the backyard and surrounded by mature woodlands, our fieldstone fire pit is made of stones collected from the rocky outcroppings found around our property. The cleared site for our new fieldstone fire pit was once the location of a large cedar play set and is the perfect location for building a fire pit. The area measures approximately 20 feet across and the ground is covered with a layer of pea gravel for protection from wayward sparks and embers. The pathways through the woodland gardens leading to the fire pit area are also covered with pea gravel for a safe and leisurely stroll to reach the fire pit. Backyard fire pits are popular elements in landscape design, ranging from a simple campfire, to a decorative metal fire ring, to lavish outdoor stone fireplaces. Fueled by firewood or propane gas, a backyard fire pit creates a destination spot in the garden for comfortable gatherings of friends and family. Select a site on the open ground and away from buildings, trees, brush piles or other flammable materials. A fourteen to sixteen foot diameter area is about the minimum space needed for a fire pit and the adjoining seating area. Find the center of the selected area, and drive a small stake into the ground. Attach an 8' foot long string to the stake, and use the string to mark a 16' diameter circle around the stake (or larger, if space allows). This will mark the outside edge of the gravel area surrounding the fire pit. Now attach a two foot long string to the stake, and use the string to make out a 4' diameter circle around the stake. This will mark the outside edge of the fire pit. With a shovel, dig out the 4' circle to at least a depth of 12 inches (18 inches is even better). Scrape the insides and bottom of the circle flat and smooth to create the pit. Spread a layer of gravel over the bottom of the pit to help the rainwater to drain away and prevent puddles of wood ash. Now comes the fun part—and the heavy lifting. If you have access to a rocky woodlands area, you may be able to collect your own fieldstone for building the outer ring of the fire pit. ALWAYS make sure that you have the owner's permission before removing any rocks -- it is illegal and unethical to remove rocks from stone walls or other property that does not belong to you. The fieldstone used for this fire pit was collected from a rocky outcropping on our property, and we only selected rocks that we could easily move and carry. 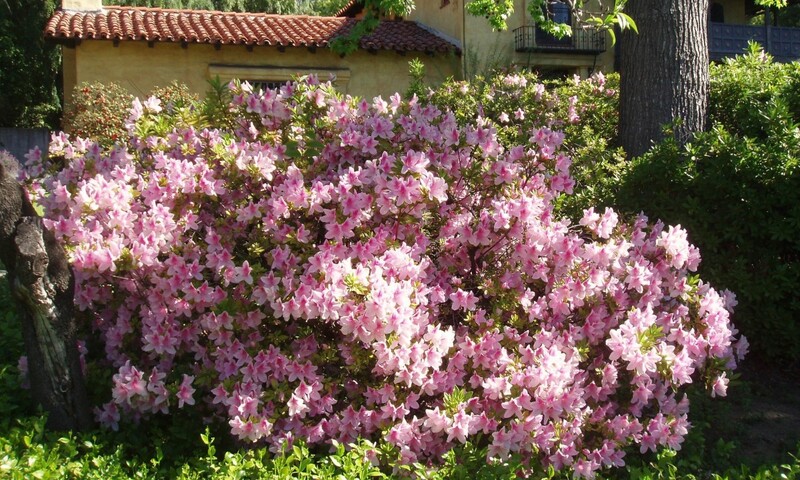 When searching for fieldstone, look for rocks that roughly the same size and shape, and have similar color patterns. Flatter and roughly rectangular shaped rocks are easiest to stack, but rounded rock can be used to build the low stone walls of the fire pit. If you do not have access to fieldstone, many garden and landscape design centers sell rocks which are perfectly suited for lining the perimeter of a fire pit. Temporarily lay out the fieldstone around the outside of the fire pit so you can select the size, shape and 'face' of the rocks as you need them to build the ring. Beginning with the larger rocks, position the stones at the base and against the earthen wall of the pit. As you place and stack the stones next to and on top of each other, only the front facing surface of the rock will show. Work around the circle of the pit, staggering the placement of the stones to create a small stone wall all of the way around the ring. Take care when placing the rocks to stabilize each one against the pit wall and against the surrounding stones to build a sturdy and good looking stone wall. Continue placing the stones and building up your wall until the field stone ring is at least 24" high. Save some of the flatter stones to use as "cap" stones to top off the walls of the fieldstone fire pit. Spread a layer of gravel around the outside of the fire pit to cover the ground within the 16 foot outer circle, raking the gravel level and smooth. The gravel acts as a barrier to help stop any wayward embers from igniting the grass, leaves or other ground cover. 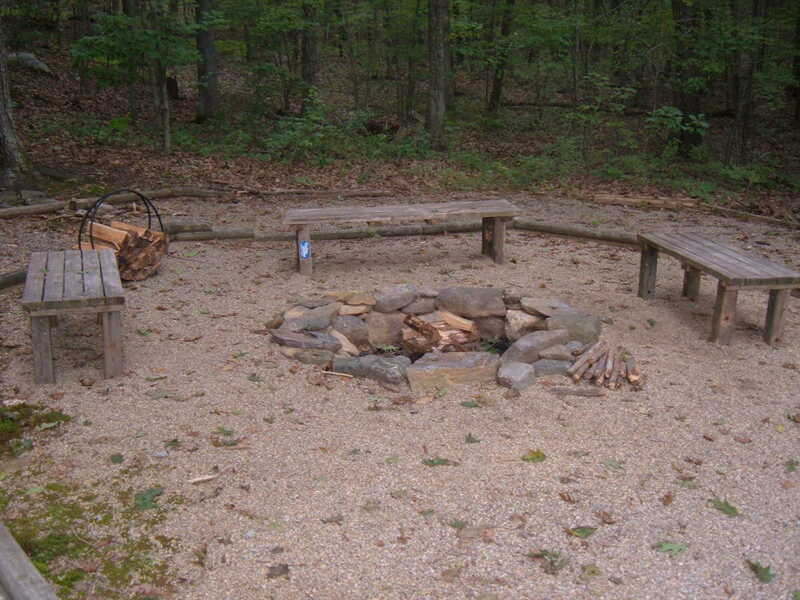 Position benches, chair and other outdoor furniture around the fieldstone fire pit to create a comfortable seating area to enjoy the warmth of the fire. We made our benches by recycling portions of the cedar play set into comfortable and sturdy seating, and the patina from the weathered wood blends nicely with the country feeling of the fieldstone fire pit area. 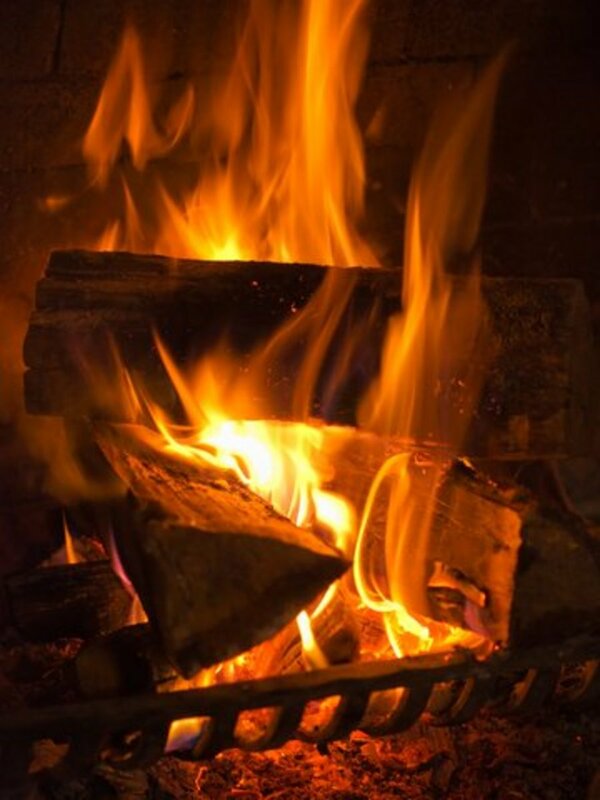 Adding a fire screen over the pit will also help to stop any embers from spreading, and add to your safety. Need Fieldstone for Your Fire Pit? Many garden and landscape design centers sell rocks which are perfectly suited for lining the perimeter of a fire pit. ALWAYS make sure that you have the owner's permission before removing any rocks -- it is illegal and unethical to remove rocks from stone walls or other property that is not yours. Those historic old stone walls have stood guard for a century or more, and should not be disturbed. We have lots of broken ledge and loose fieldstone on our property, so no stones walls were harmed to make our backyard fire fit. 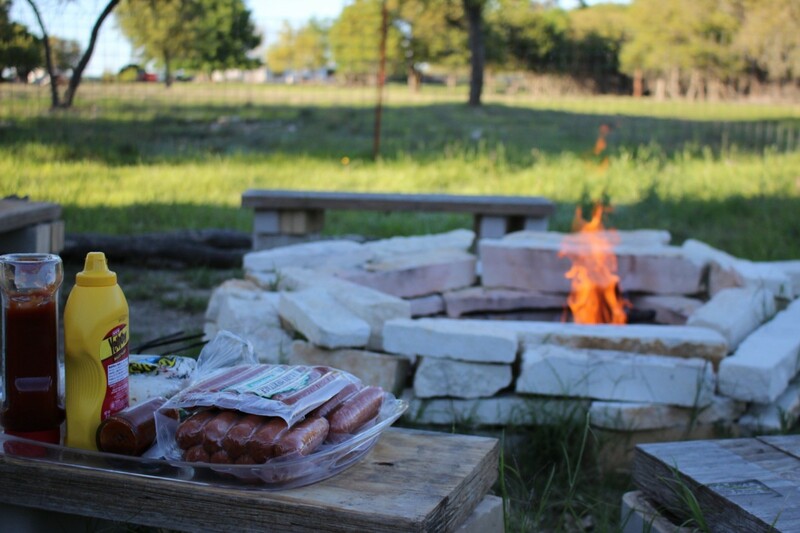 Our Fieldstone Fire Pit Gets a Lot of Use! How Often Do You Use Your Fire Pit? I don't have a fire pit yet, but I'm gonna build one! Even if you don't want to build a fieldstone fire pit, you can still create a safe area for a campfire in the backyard with a metal fire ring. Use caution and common sense! Safety is always the number one priority. Check with your local zoning department for any regulations or permits required for building a fire pit and for burning in an open pit. Be careful in selecting rock for building your fire pit. 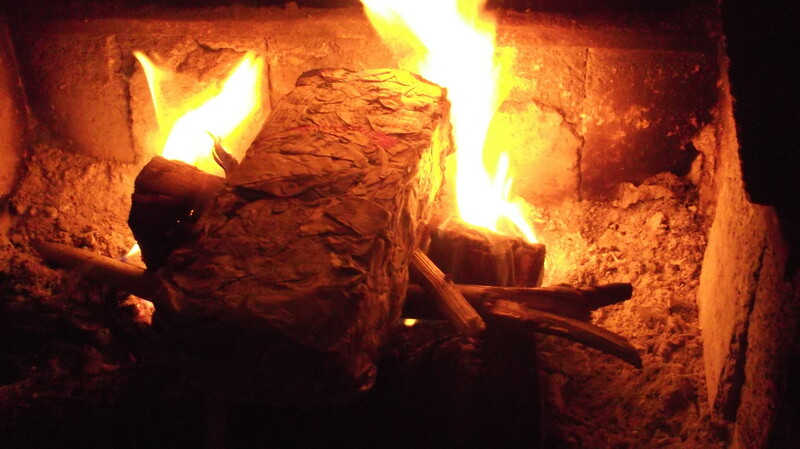 Rock can be porous, and some river rock can retain moisture that will crack and explode when heated by the fire. Use good common sense when building camp fires. Do not create a raging bonfire that is too large for your small backyard fire pit. Keep a bucket of water or garden hose near the fire pit area to quench any wayward embers. The Fieldstone Fire Pit Is Ready! Bring on the S'mores!! 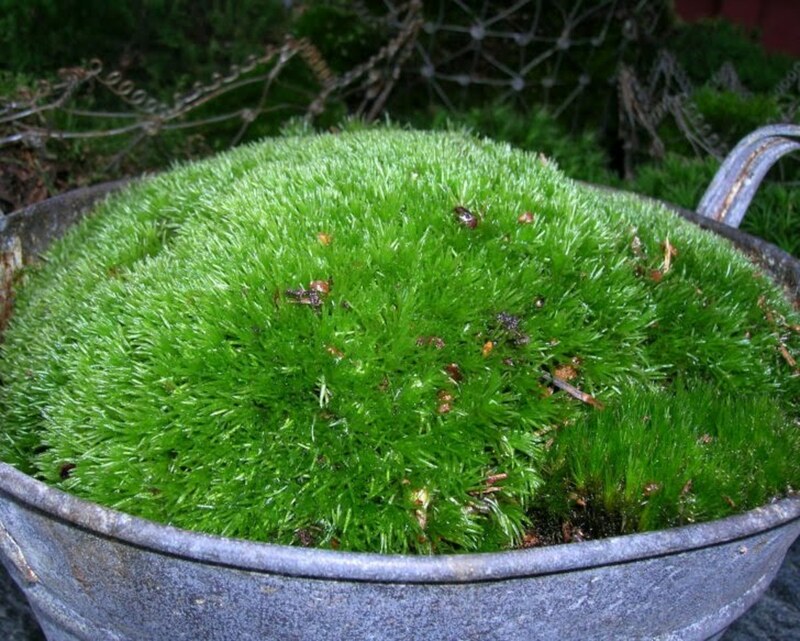 How to Create a Moss Garden! Are Vent-Free Propane Gas Log Fireplaces Good or Bad? Terrific instructions, will definitely pass along to my mom who is currently trying to figure out how to manage her new acreage home. I keep insisting that a fire pit might be the way to go. Voted up! I love sitting in the backyard by the fire. Ours is made of granite rocks around a metal ring inside. It would be nice to have benches like you have made around your pit, Anthony. I have lawn chairs, which are nice to be able to move around. Great lens, so in depth, you really didn't leave anything out. I want my garden shed lens to have as much detail as yours.....in time. Thanks for the inspiration. This is a wonderfully written lens with great photos and clear instructions. 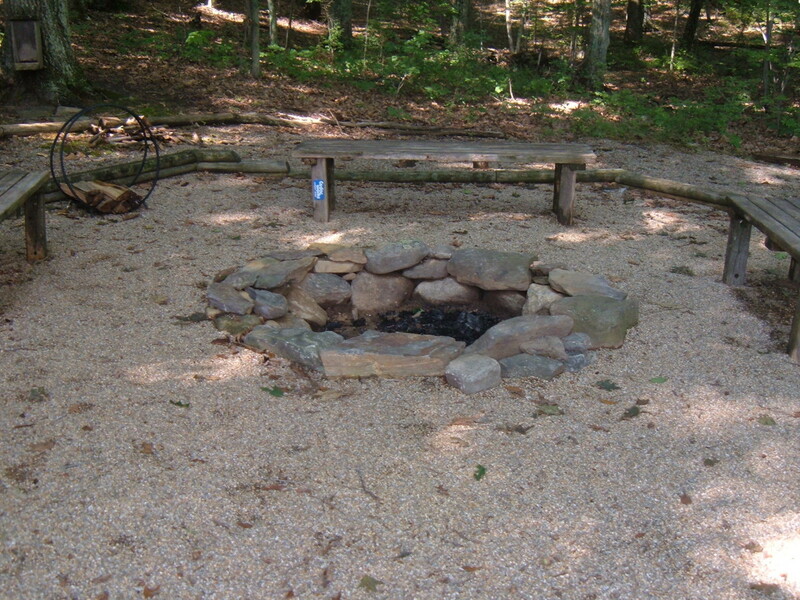 You've done a beautiful job with your fieldstone fire pit! Congratulations on your well deserved purple star and LOTD. Blessed! We had a firepit at our old house and I'd love to get one at our new place! Nice info for the new folks in camping and some real nice set ups for just about anyone thanks for the share liked and tweeted! That's a nice looking fire pit you've got there. Like the benches too. That's something I'm going to have to do next year. I just can't pass by a fire pit it seems and love the video you've added here! My favorite part of the cooler weather! Bon Fires!!!!!! Great lens! We were given the task of finding autumn based lenses to bless - it didn't take long for me to figure out which one to start with. Excellent directions, interesting. I don 't have a large enough area for this pit, but the ball of fire is now on my wish list. (good use of sidebar widgets.) great job, blessed and stumbled. I like the idea of a fieldstone fire pit. 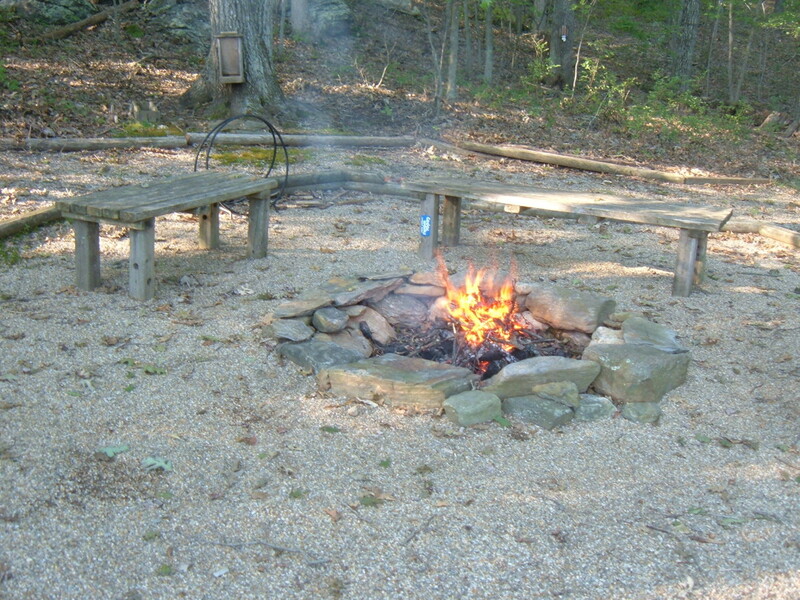 I like the idea of putting a gravel barrier around the fire pit. We built a fire pit similar to yours using field rock that we found in a pile in our grove. 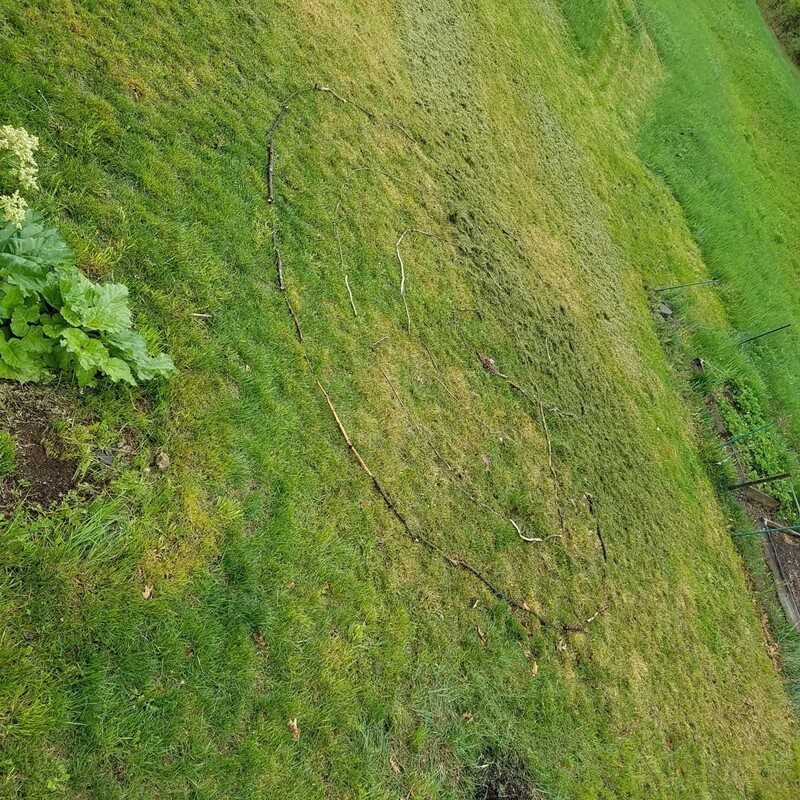 I don't like mowing around it because I either push the rocks or end up leaving a lot of grass! Adding gravel around it would take care of this problem! So, thank you! Good tips! One more I might add is to be careful selecting the rock to make sure that what you chose is non-porous. 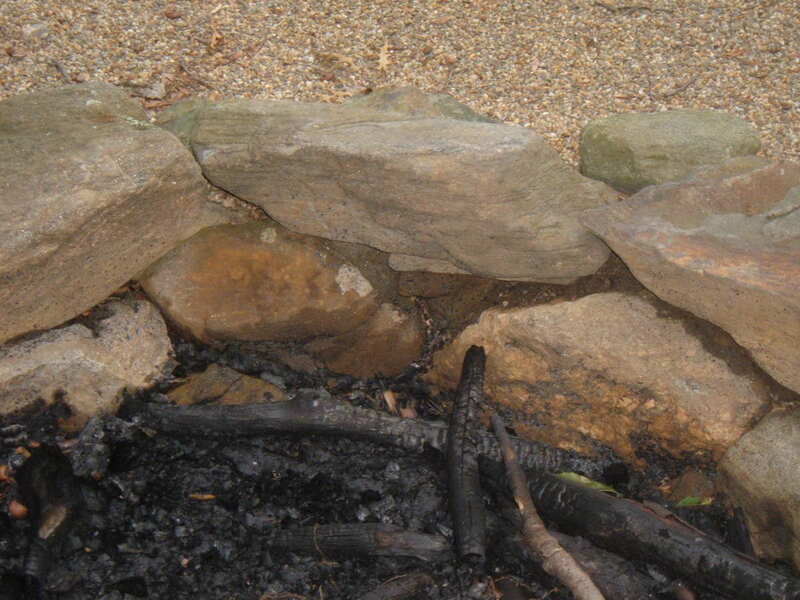 Water soaked porous rocks can explode when exposed to the heat of a fire. 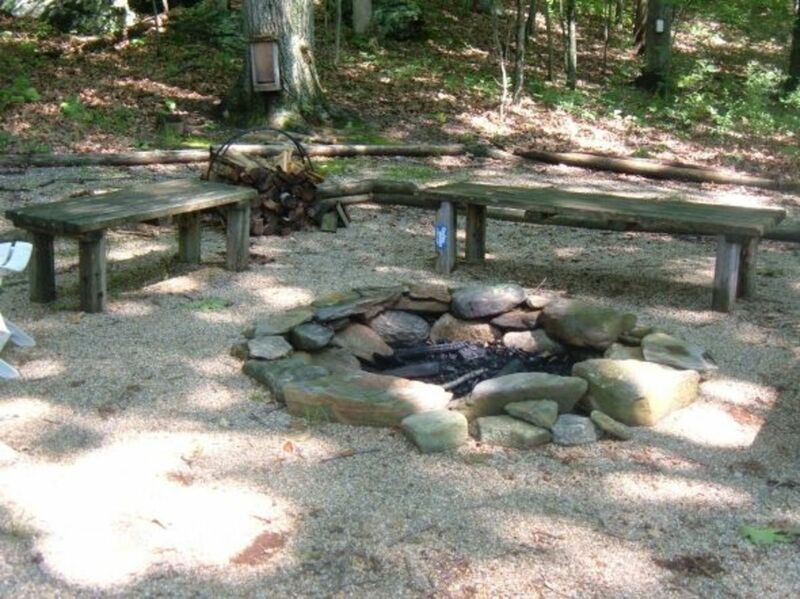 It seems I'm attracted here again and again, I love your fieldstone fire pit and I guess it reminds me of ones I enjoyed at Woodenfrog campground while growing up. Yes, great article and I'm keen to make my own firepit. Definitely, having bonfires is my favorite thing to do after a long summer day at the lake. Your fire pit looks just like my brothers (well pretty darn close). Having a campfire - firepit in the backyard is great for when company is over. There really is nothing like a good hotdog roasted over an open fire. One of my favorite things. I keep coming back here to dream of one day making my own fire pit again...oh, for a yard! Nice ideas of making fireplace pit using stones. People are using Outdoor fireplaces these days. It is much easy to use them. But is there are no any customized fireplace available than fireplace made using field stones is the best idea. How cool is this lens? VERY! I love the tutorial and all the information you provided. We bar-b-que at least one day a week, to me there is no better taste than meat grilled in the great outdoors! 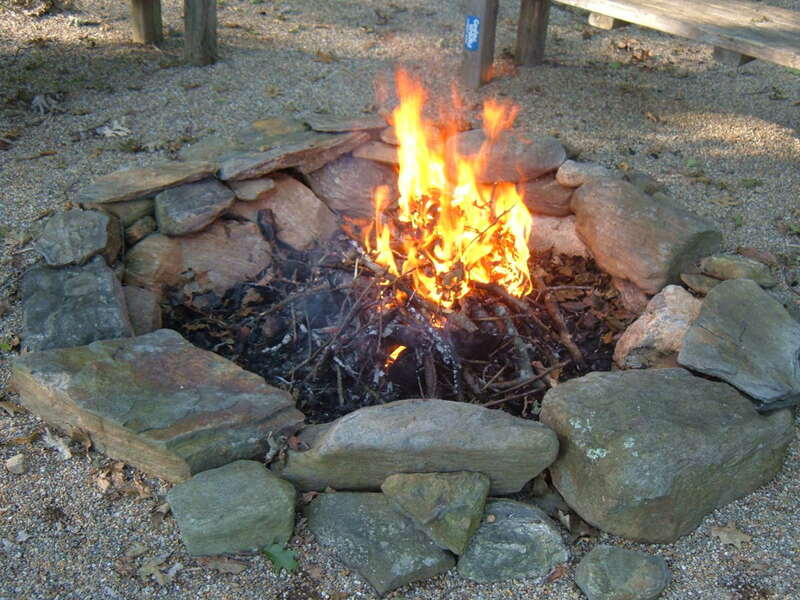 Nice tutorial for building fire pits - we used to have one and we loved it. I would love to have a fire pit, but my backyard is not currently big enough. Wow! Great idea. and not TOO hard either! Blessed! I love this. I wish I lived somewhere that I could build one. I don't have a back yard right now and I just love a camp fire, so the next best thing is to come and hang out at your back yard fire pit. I'm glad to hear that no old stone walls were harmed in the making of your fire pit...you just do all things so very well and with such respect to the environment and to wildlife. @hsschulte: I agree completely. Those historic old stone walls have stood guard for a century or more, and should not be disturbed. We have lots of broken ledge and loose fieldstone on our property, so no stones walls were harmed to make our backyard fire fit. It is unethical to remove the rocks from other people's property. Those old rock walls are so beautiful and historic, I can't imagine taking them. I'm almost in the boonies, so if I drive a few miles west, I can usually find them in the ditches along the side of the country roads. We have a portable metal fire pit in the front yard. I love the built-in types made with earth materials. You have so many great ideas! Great Lens. I love sitting around a fire at night in the fall. Happy New Year and Congratulations on making the top 100 Community Favorites for 2011! Thanks for the very useful information. I've often thought about building a fire pit but wasn't sure how to keep it safe. The step-by-step instructions and photos are great! Oh, and congrats on 200 likes! Nice lens! We just got a fire-pit, but I think it would be awesome to have a campfire pit out in my backyard! Congrats on being nominated for Community Favorite Lenses of 2011. A wonderful lens. Fortunately we both share one thing it was easier to vote than for most as mine was my "why-I-am a- vegetarian was nominated as well. A proud moment for all of us. Good luck in the voting. I'm not much of a do it yourselfer, but I'd love to have one of these fire pits. Congrats on making the top 100! Thanks for the nice DIY instructions. And congratulations on being one of the final 100 favorite Squidoo lenses of 2011! I love to sit around an open fire so would love to build this Backyard Fire Pit. Thank you for all this great information. Congrats on being in the Top 100 Community Favorites. I love your idea of having a Smores campfire kit available. We have a pit my son-in-law built out of bricks. (Used the pea gravel too though.) I find it very relaxing and we have lots of family talks around the fire. Good for families.Congratulations on LotD award. This lens is really worth it. Blessings. 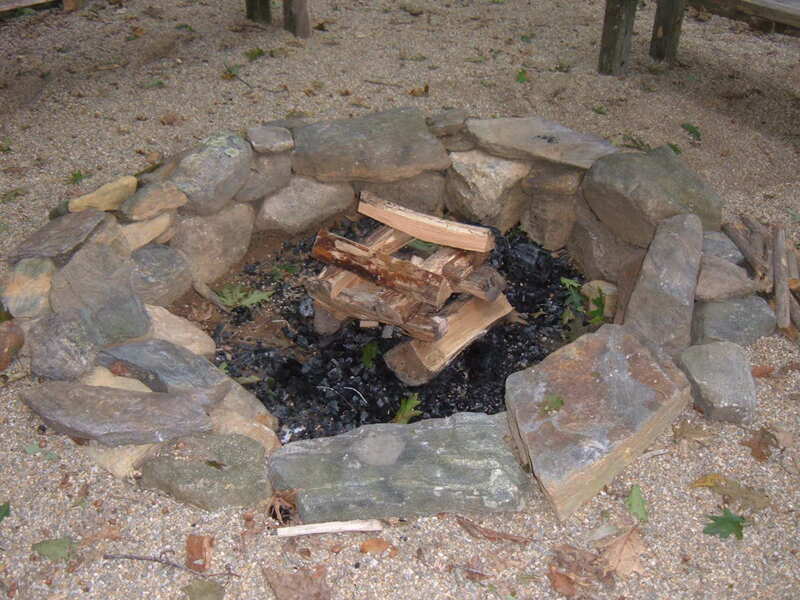 @ClassyGals: Building a backyard fire pit is an easy project. My daughter and I made this one over a weekend, and we use it a lot with friends and neighbors. Thank you for visiting! @hamshi5433: Thank you for visiting, and good luck building your own backyard fire pit. I think you'll enjoy it. Thanks for the helpful tips on how to actually build a fire pit. I'd love to have an outdoor fire pit! They look so inviting. @dwnovacek: Thank you for visiting, and I hope this information was helpful in planning and designing your new fire pit. Here's a toast to your first evening around the fire! Interesting ideas, I might build one next summer. Nice pictures too. blessed. Your lens has inspired my husband to plan and build a fire pit in our backyard. When it's done, we'll certainly make a toast to you with our first s'mores! Beautiful, informative lens. Angel Blessed! @anonymous: Thanks for visiting! It's funny, but the evening that I took out the camera to take a few pictures for this lens, everyone scattered! @Sylvestermouse: Thank you for visiting! We use our fire pit a lot, and hopefully we're building some good memories for our kids. Great lens. Very informative, nice pics of your pit too. great lens, really read this good. Wonderful directions! I remember when this was the only way to have a backyard fire pit. We have a portable one now, but I do indeed have some wonderful memories of time spent around a more natural fire pit. We have a portable firepit but am considering building a permanent one. My boys no longer live at home but they return for get togethers and parties. great lens! We use our very large grill by pulling out the separator walls from the three chambers and fill it with wood. BUT a fire pit is what we want when we build our home in the country! Great lens, easy to follow instructions and tips. Thumbs UP! Wish all of us who love backyard fires could get together. Good lens. We use our fire pit a lot and it is great for family bonding. Great lens, I wish I would have saw this one before I asked my neighbor to build one. Awesome. That's a great lens. We just used our fire pit this weekend. We made smores, and the marshmallows were huge. HI! I saw your lenses now! They are nice! I was thinking to show them to others. I hope you keep creating them. I didn't hesitate to squidlike some of them! GOOD LUCK ON SQUIDOO May you earn much Money $$$! Congratulations on LOTD! Great lens on building a backyard fire pit. I am SO ready for fall. I live in the south, and our high temps have been over 100 degrees F for a month! I don't need a fire pit when I can cook an egg on the hot ground! I would love to build a pit with fieldstone this fall and roast some hotdogs and marshmallows. Thank you for sharing your tips on making fire pits and s'mores!! Nothing beats a nice hot fire on a cool evening! Great Lens ! Congratz on your Lotd very informative! This is such an informative and well-organized lens! Thank you for including the safety precautions. :) Congrats on your well-deserved LotD. Very nice lens. Loved smores as a kid! Had to come back and smile at that 536 overall ranking and doing the dance of joy. Very interesting and outdoor cooking for the summer. Nice lens! Thanks for sharing! What a fine way to enjoy your own yard with family and friends. very nice lens and i like the ideea, for my garden.thanks for sharing. Well done lense, if everybody was so experienced in making fire pits, there would be less fire disasters! We have plenty of property to get this accomplished and now I feel like we have the direction to get it done. Sharing this via email with the guys in my life that can get this done ;) Congrats on LOTD...I can imagine you did a happy dance round the campfire with s'mores tonight...lol! Congratulation!! What a warm lens... Well done. Congratulations on LOTD! Well deserved! I haven't gone camping in years, but this lens made me want to do so. Plus, the description of the S'Mores really got to my sweet tooth. Excellent lens! Just stopping by to say congratulations on Lens of the Day. And you totally made me want to eat a s'more! Yes indeed. Nicely laid out this lens can really explain things so simply. Although we use a store bought pit, I'm very keen on building our own...with my husbands help of course. Congrats on LOTD! You give great instructions. Wish we had room for a fire pit at my house. A shame time goes fast and so many projects and ideas to do around the home. Really liked your lens and can see exactly what it takes to build a backyard fire pit using fieldstone. Something we discuss with our family but have not yet done. Bookmarking this lens to consult again. Out of curiosity, how did you do the sticky yellow note on your lens? Very eye catchy, would love to use that effect on my lenses. Your firepit looks great and I would love to have one, but we are banned from open fires and burning anything here due to the pollution from smoke. We do have bbq's though (but not on high fire danger days when you can only use gas or electric bbq's). Great lens! A wonderful LOTD! I'm looking forward to visiting your other lenses too - I love your topics! What an excellent LotD. Congratulations on a job well done.